I am a book collector – I enjoy collecting books with quilts in them, new quilts, old quilts – QUILTS. Why – I get inspiration from them. 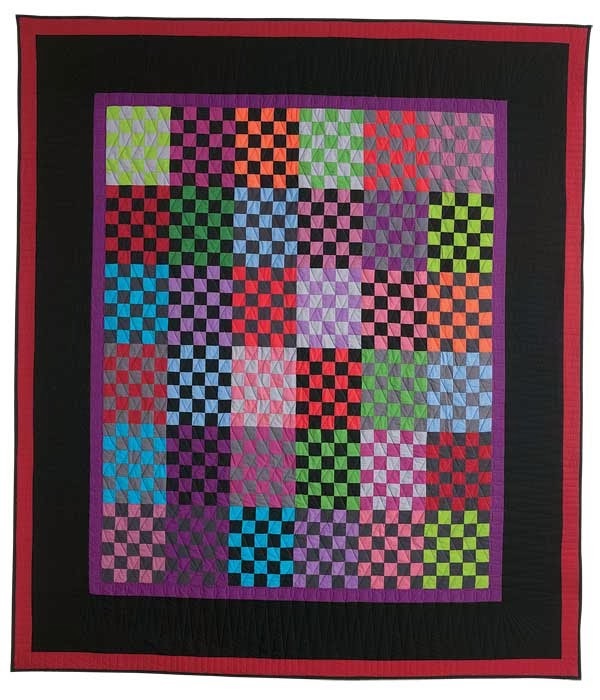 I like to look at older quilts for ideas of how people ages ago designed and made quilts, I like to see what people are doing today, I like to look at color combinations to inform my color sense and to give me ideas, I look, I soak in what I see. Do I make many patterns that I might find in books – I must confess – not really, and if I do I usually tweak them a bit. But they help to train my eye to see. I enjoy Amish and Mennonite Quilts for their boldness and subtlety of color. 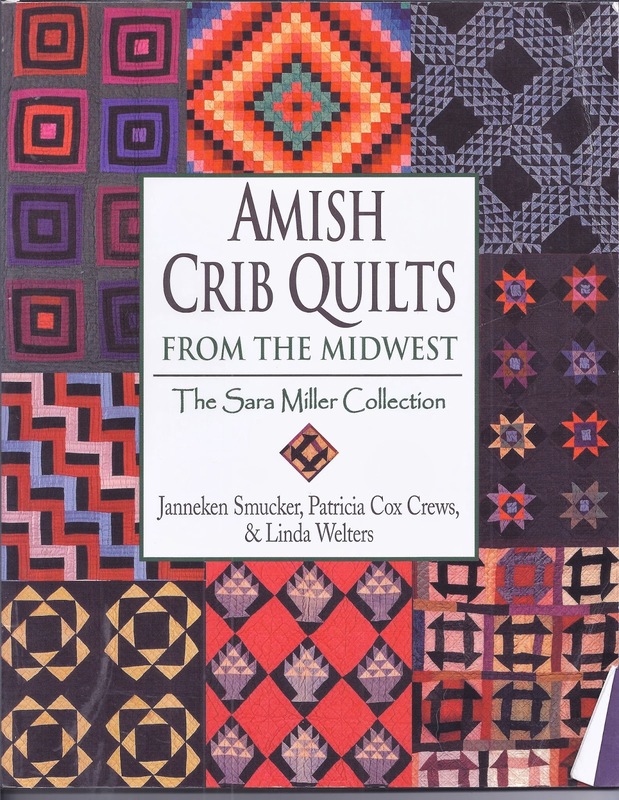 One of my favorite – as you can tell by the battered cover – books is – Amish Crib Quilts from the Midwest by Janneken Smucker, Patricia Cox Crews and Linda Welters. I was drawn to this quilt by the simplicity of its design. 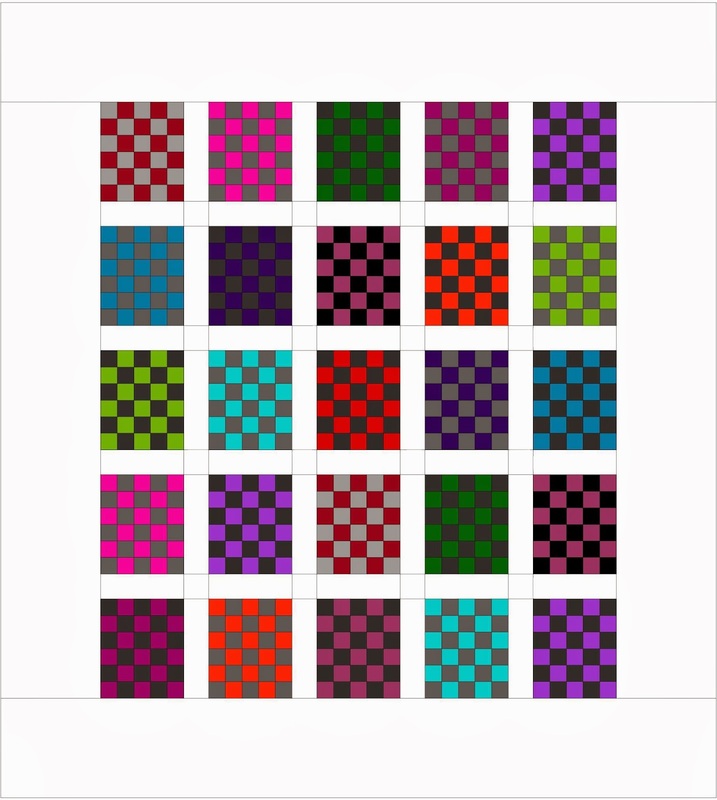 Blocks that are made up of black squares alternated with colored squares – 5 across by 6 down. But – me being me I couldn’t just make one just like it – I had to do something different. So I started with posing the question to myself “What if……” and let myself daydream. What if they had brighter colors to use? 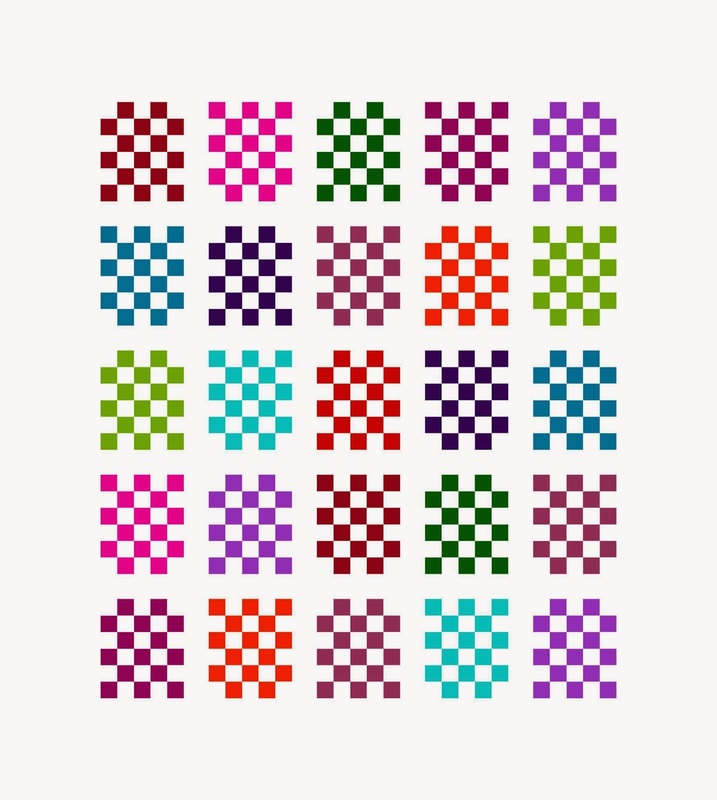 What if they used other colors than black for the alternating squares? What if they played around with what was a light value and what was a dark value? 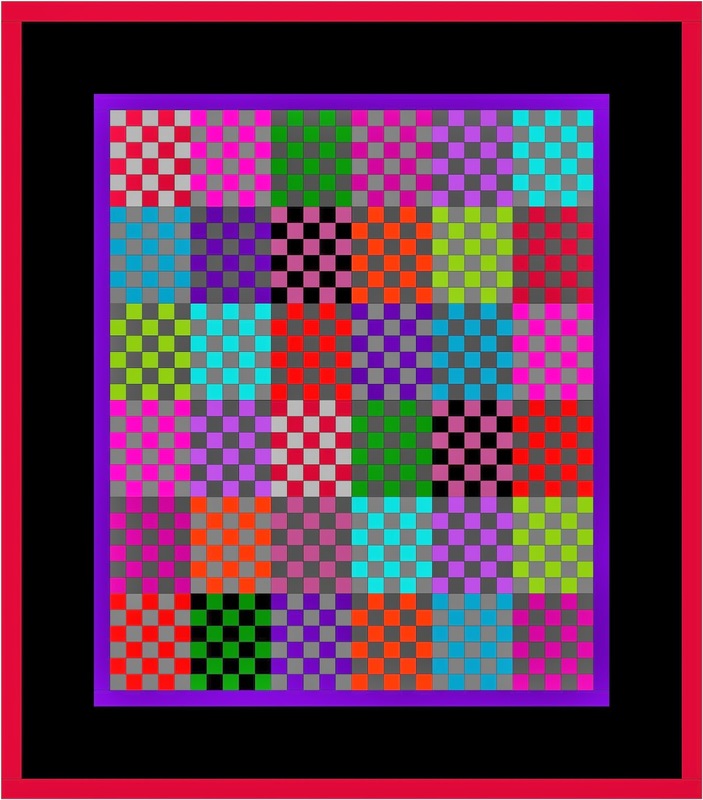 After I had some ideas in my head I went to EQ7 and started playing around with some quilt designs. I had fun seeing what happened when different shades of gray and black were put next to the same color. I discovered that the blacks and grays did change how the red looked or how the purple looked basically how any color looked. It changed what read as the light color and what read as the dark color. Here is a version of the quilt with a gray border and black sashing strips. What would happen if I swapped out the dark borders for white. 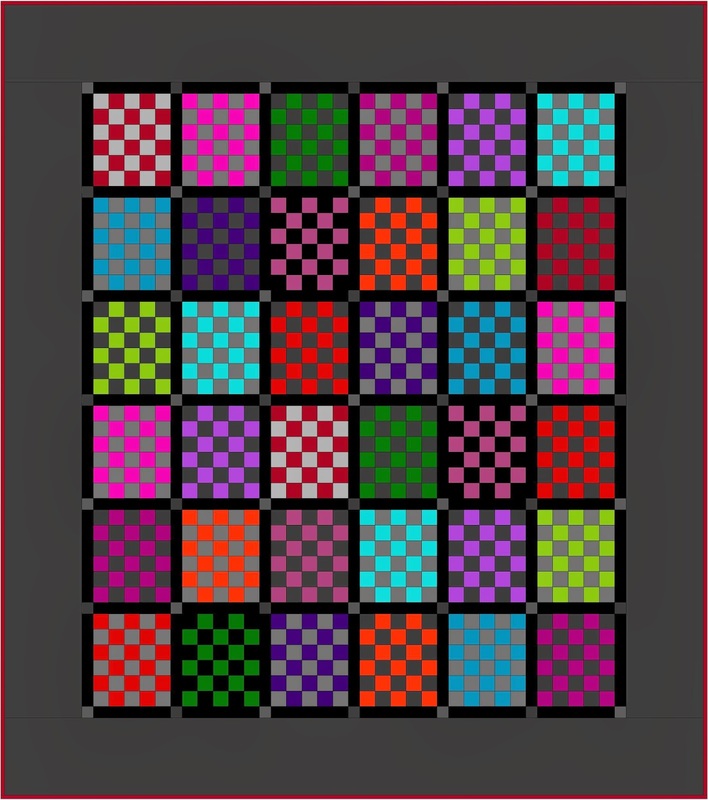 What would happen if I got rid of all the black and grays and just had the colored blocks float on white? I really like how the colors float on the white background. I finally made the quilt – the version with the Black border using Kona Solids from Robert Kaufman Fabrics. It appears in the March/April 2014 issue of McCall’s Quilting. Old ideas can be made new – just grab some books for inspiration, find a place and create a space where you can ask your own questions. Ask yourself “What would happen if…..” Not all your answers might work, but some will, and you will also learn from the ones that don’t work. Then grab some fabric and allow yourself the FREEDOM TO PLAY!!!! 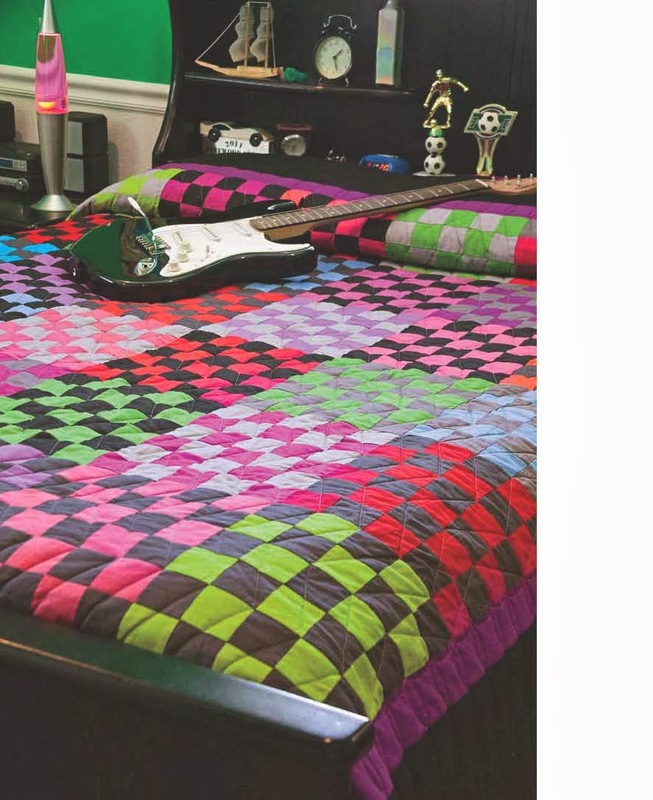 McCall’s has a great offer on a kit for this quilt – grab it now while it lasts and slice up some strips, and have fun playing and creating your own block combinations. 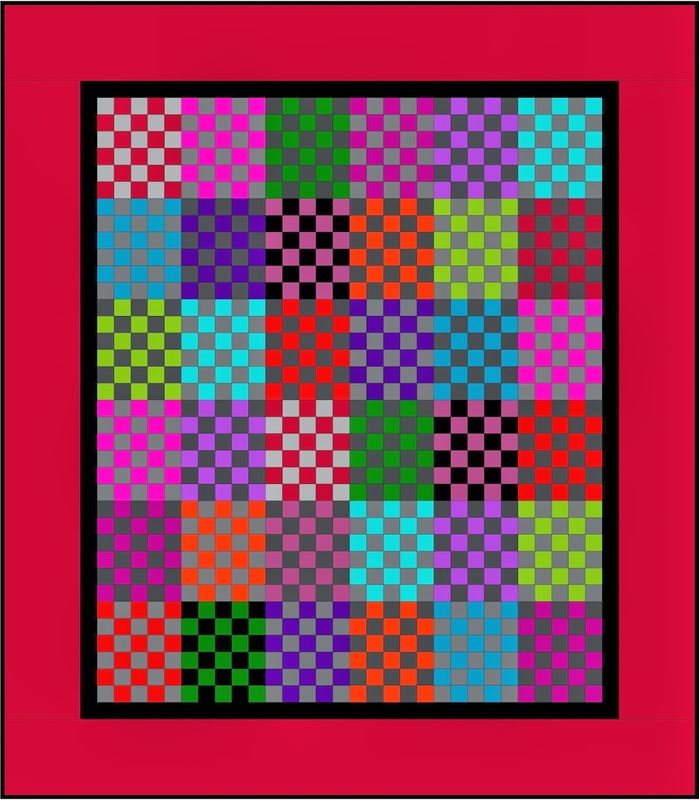 So when you look at the original quilt and ask the question “What if I….” what would some of your ideas be???? Add a little color to your bed! It is cold and wintry up here in the northeast – we are in the midst of clearing out about 10 inches of snow that just fell. It seems that there are a lot of areas that are experiencing the same. But if you are looking for a little something to beat the winter blahs – here is just the thing for you. 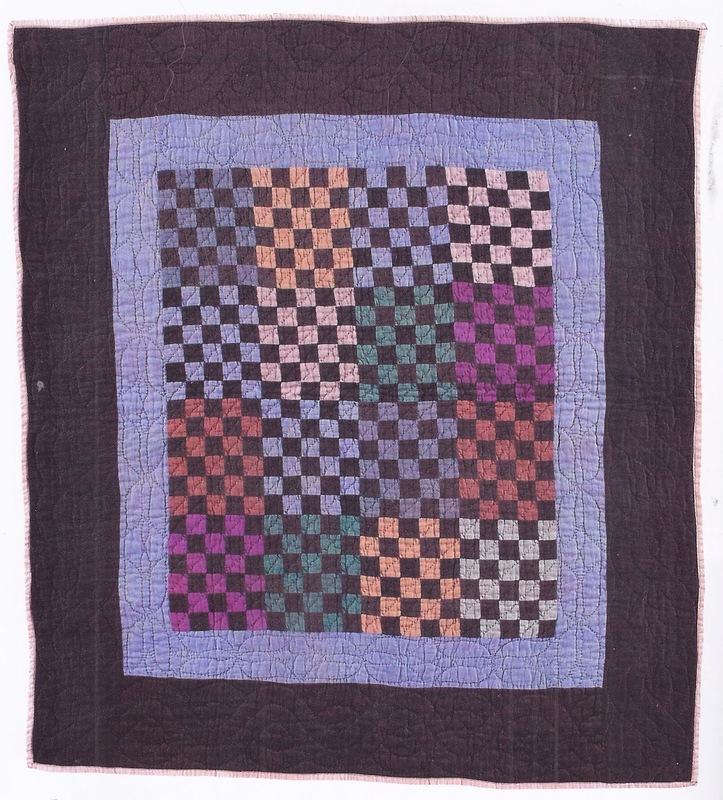 This quilt was inspired by an antique quilt. I took a traditional Mennointe/Amish quilt aesthetic and updated it a bit. As they used the colors that were in the fabrics they had on hand – I did something similar – just that my fabrics are a bit more contemporary to our day. 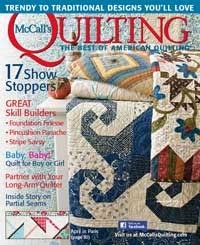 McCall’s is offering a kit that features the Kona Solids that I used for the quilt. BUY IT NOW. This quilt goes together quick and easy with simple strip piecing. I think it would also look great downsized a bit as a throw. Stop back to visit my blog tomorrow for a look at the quilt that inspired this one – and for alternate design ideas.